Mr. NGIMA NURU Born in 1981, he is the ‘Youngest Everest Summiteer” in the World for 15 times. 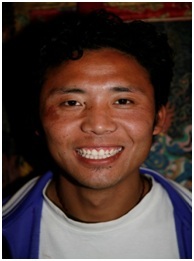 Aprofessional Trekking Guide, he is a graduate in Tourism & Hotel Management. His expertise lies in ice climbing, climbing anchors, belaying, rope travel, crevasse rescue, and rock climbing.He guides and takes the pilgrims through the KailashMansarovarYatra with ease. 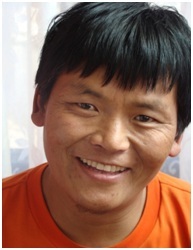 Mr. LhakpaRangdu Sherpa Born in 1967, Lakhpahas conquered Mt. Everest many a times. 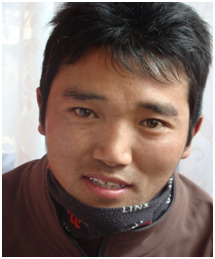 Lakhpa Sherpa has got himself trained in trekking from NATHM and as a navigator, mountain rescuer from NMIA. He is the one and only acclaimed Sherpa, being honoured as the best mountain climber in the world.LakhpaRangdu has travelled 50 times to KailashMansarovar. Mr. SonamBhote Born in 1981,he is an expedition guide to a number of successful summits including Mt. Everest. Bhote is the first Nepalese to have authored his book, Bards Sketches, based on the summit of Mt. Everest.To satisfy his creative instinct he has filmed, designed, and edited a Mountaineering documentary titled "Life of a Sherpa".Bhote is the most sought after expert guide for KailashMansarover Journey.